Because of you, we reached our goal. Thank you to everyone who donated this #GivingTuesday! Your gifts were MATCHED by an anonymous Los Angeles Regional Food Bank donor, doubling the impact. Every dollar donated allowed us to provide eight meals – twice as many as usual! Because of your incredible support this #GivingTuesday, children, seniors, working families and individuals that are facing hunger in our community have access to nutritious food – enough for one million meals! 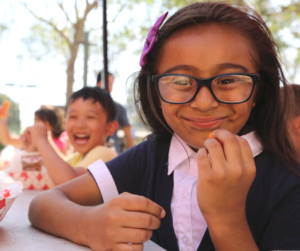 Your continued support helps us provide meals all year long, so if you’d like to sign up as a monthly donor, visit LAFoodBank.org/donate. Thank you also to those of you who helped us spread the word on Social Media, including our amazing social media influencers and ambassadors. We sincerely appreciate the generous support of our donors, and we appreciate all of the social media love from our online community! Again, thank you for your support. You are making a difference for our neighbors in need.